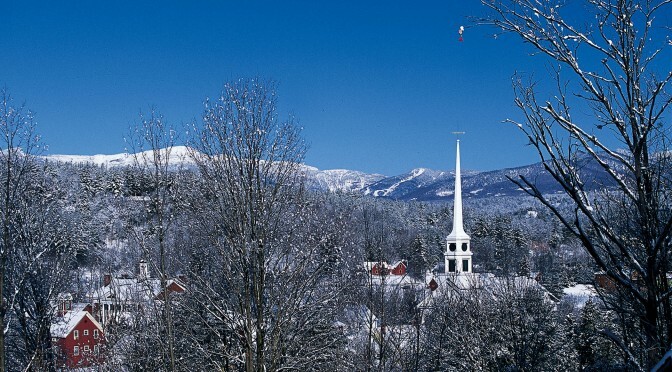 Montpelier, VT – From torchlight parades and fireworks to discounts on lodging and lift tickets, Vermont’s ski areas are pulling out all the stops for Presidents Week this year. Stay three nights or more with any of their Club Smugglers’ Packages, and save up to 30% off this Presidents Week at Smugglers’ Notch.. 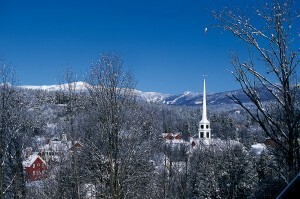 Choose from the Base Package, FamilyFest Package, Summit Package, or Winter Experience Package. To learn about each package’s offerings, click here. Take advantage of the Stowe ByPass Program this Presidents Week and save over 25% on lift tickets. The ByPass program at Stowe Mountain Resort simply allows guests to register online, get an RFID lift-pass card and then go direct to the lift every day you ski or ride. Add to that, instantaneous savings of over 25% by automatically paying the discounted rate the first time you’re scanned at the lift each day, all season long. 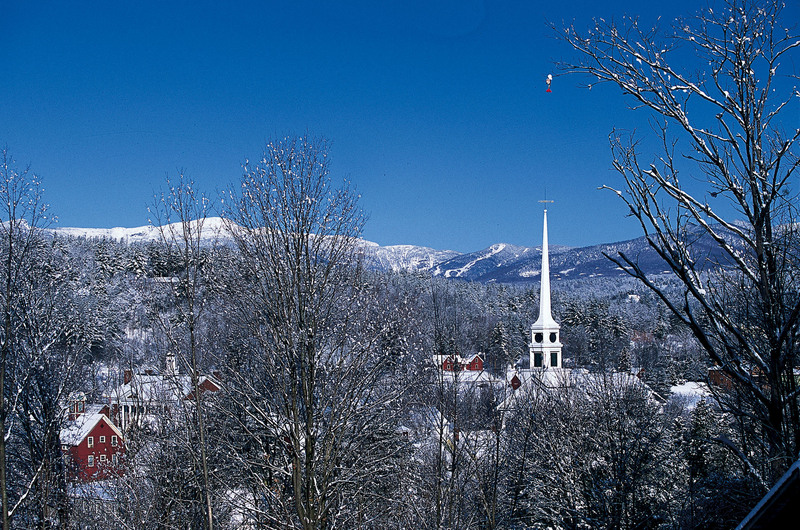 Bolton Valley’s compact base village, where every room, condo and suite is ski-in/ski-out, makes a vacation convenient for families of all sizes. In addition to skiing and riding, families will find a week filled with free activities. On Monday kick off the week around a slopeside campfire while sipping hot chocolate. On Tuesday magician Tom Joyce entertains children of all ages. Wednesday features a kids’ movie and ice cream social. On Thursday Dux, the Balloon Man, will twist up animals and more. At Killington, stay at least four nights and ski at least four days anytime during the Presidents vacation week for package savings of up to 20% off lodging and an extra 5% off already discounted lift tickets. The only requirement is that your arrival date can’t be before Monday, February 16 and you need to depart by Sunday, February 26. Celebrate Presidents’ week with Suicide Six during their Torch Light Parade when the sun goes down on February 18. When they’re not skiing and snowboarding at Okemo this Presidents Week, families can enjoy ice skating, snow tubing, snowshoeing and swimming. There are even some unexpected activities like riding Okemo’s Timber Ripper Mountain Coaster, Vermont Institute of Natural Science’s Raptor Encounter or kids’ guided snowmobile tours on pint-sized Polaris sleds. Calvin the Catamount, Okemo’s mascot who is named for the only U.S. president from Vermont (Calvin Coolidge), will be on the prowl and visiting Snow Stars Ski + Ride School groups during their lessons all week. Join Bromley for their yearly February Festival celebration on Saturday, February 18, when it kicks off with a torchlight parade and fireworks at around 7 p.m. Then it’s on to the base lodge for live music with the Kind Dubs, good eats and a silent auction. Proceeds will benefit the Bromley Outing Club. Sunday features live music with Satellite Shine, plus a caricature artist for some extra fun, and the Jack Kaplun Trio is on for après on Monday. Presidents Week at Stratton Mountain will include dancing to live music during après and late night, a fireworks display, and gliding down the snow at Stratton’s lift-served tubing park. Enjoy the Torchlight Parade and Presidential Fireworks on Wednesday, February 22 with friends and family at Mount Snow. Want to stay for the week? 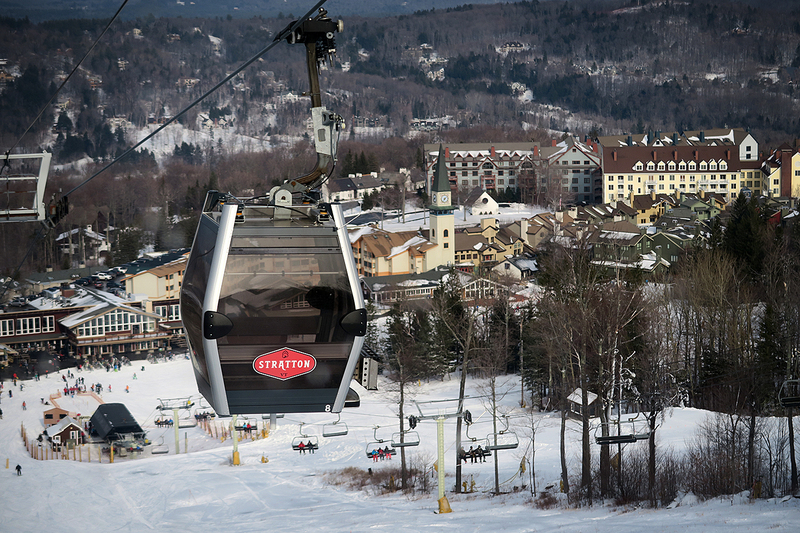 Mount Snow’s special holiday package includes 15% savings on lift tickets.